«Northern Interindustry Company «The Alternative» Ltd is based in the city of Severodvinsk, not far from the regional center of Arkhangelsk region and a large sea port (the city of Arkhangelsk), in the place where Northern Dvina River falls into the White Sea. 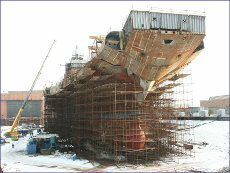 Severodvinsk city is the state center of nuclear ship-building that includes Russian leading ship-building enterprises. 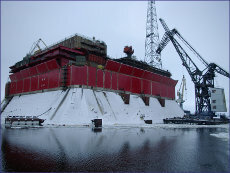 «Northern Interindustry Company «The Alternative» Ltd provides qualified personnel of shipbuilding specialties organized in production teams for the execution of different kinds of works connected with construction of offshore platforms and machinery for oil and gas field development of arctic shelf, shipbuilding, repair, modernizing and utilizing vessels of any type. 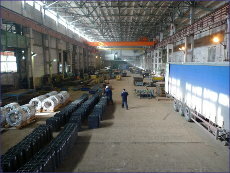 Besides, having its own production areas, equipment and other necessary conditions and authorization documents, the company can practice licensed kinds of activities, namely – to construct and repair the items of armament and military equipment as well as carry out various projects on manufacturing equipment and metal constructions for oil and gas production and different branches of the domestic manufacture. Also “The Alternative” Ltd. is a part of interplant cooperation of member companies of Association of Oil and Gas Suppliers “Sozvezdye”, Arkhangelsk. At the same time «Northern Interindustry Company «The Alternative» Ltd has developed the production of heat exchange elements for regenerative air heaters of the machinery plants of power stations. The developments of specialists of our company are protected by patents in 11 countries and produced under СМКА® trademark. From the very first orders the results of application of СМКА® heat exchange elements showed great fuel economy while power plant functioning. That gives positive economical effect with fast capital investment recoupment. By the end of 2018, unique СМКА® energy efficient product was installed at every second boiler unit in Russia. The volume of economical effect for Russian Power Plants exceeded $ 3 billion. 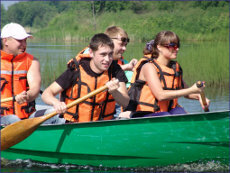 Starting from the moment of its establishment, February 2000, «Northern Interindustry Company «The Alternative» has collected, kept and developed the experience of work in the directions mentioned above. It has shown itself as perspective and continuously growing company, being a reliable contractor and a partner of many Russian enterprises. In the approach to the quality of its production and industrial engineering the enterprise follows the best traditions from the leading Russian enterprises of the defensive complex. The system of business quality management is certified by Certification Association «Russian Register» for compliance with international quality management system ISO 9001 and the Russian military standard of quality system GOST RV 15.002. 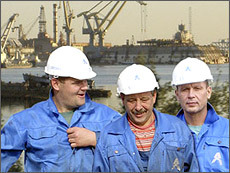 The company is certified by the Russian Maritime Register of Shipping for executing subcontract works in shipbuilding projects, has the license of Federal Security Service of Russia that allow working with national security information and the license of Federal Service for Defense Contracts for production and repair of armament and military equipment. The production that belongs to power plant engineering branch of the company is certified by Russian system of facultative certification «EnSERTIKO». 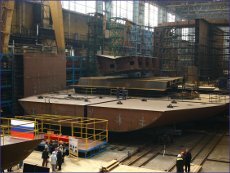 The specialists of «Northern Interindustry Company «The Alternative» Ltd regularly take part in conferences and congresses of international level and in Russia and successfully present their production and service that attract more and more attention in power and shipbuilding branches of different countries. 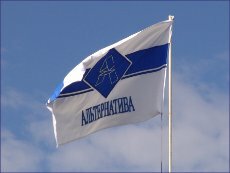 In 2009, «Northern Interindustry Company «The Alternative» Ltd was awarded a diploma of Ministry of Energy of the Russian Federation at the exhibit «Energy efficiency and energy saving» in Arkhangelsk city, Russia. In 2007 – honorary diploma of international level in the city of Antwerp, Belgium. In 2008 – diploma of the participant and the speaker of all-Russia conference «Russian Economics – 21 Century», in 2009 – diploma for active participation in the work of IV National Congress dedicated to the development priorities of Russian economics. In 2019 - as the best small enterprise in the field of industrial production. Nowadays the company is the leader in terms of service quality in the field of shipbuilding personnel lease and СМКА® heat exchange elements rightly take key position at Russian market and successfully enter European and Asian markets. Alongside with that, regularly carried out scientific and technical researches and developments let the company keep the leadership in the designing and production of energy efficient heat exchange surfaces of rotary regenerative air heaters. We – are open for cooperation with professionals and esthetes of science and technics. We – are always glad to consider the offers of new possible partners and representatives of companies who want to expand the sphere of their activities and build stable and mutually beneficial relationship with new business partners.